When you’re running your own business or enterprise – productivity is important. Every moment is precious and the more productive you are when you’re sitting down and working, the more you’ll be able to get done. If you have got junk everywhere, you will not be able to get as much done. Using a standing desk can greatly improve productivity. A standing desk is less of an accessory and more of an investment. However, it is certainly one that improves your productivity. It is also a great way to start off your journey to redesign office workspace for yourself. With a new standing desk, you have the perfect starting point to greatly increase your effectiveness and office productivity. When you get more work done in less time, you will finally be able to realize your dream of improving your work life balance. Start redesigning your office space to become the most productive worker possible by buying a standing desk. Buying plants for the office is another workplace accessory that can help improve productivity. This may sound surprising. However, office plants are proven to help improve productivity, aid concentration and increase staff wellbeing by almost 50%. These findings were produced by a study from the University of Exeter which used statistical software. In addition, they also help to remove contaminants from the air. If you want to benefit from being more productive, happier and breathing healthier air, add a plant to your must buy office accessories list. A cluttered work space can quickly become disorganized and lead to a loss in productivity and one of the places where that often starts is when you have multiple cables that are in a mess. Nowadays there are many different types of cable ties, clips, and full-fledged organizers that can help you to streamline your cables and confine them neatly to a specific location that is out of the way. Like many people you undoubtedly enjoy having a cup of coffee (or tea) handy while you’re working. If you use popular money saving tips, then you are sure to have a thermos full of your favorite beverage at all times. Unfortunately most people have had to go through the hassle of dealing with spills because of that – which is where a cup holder will come in handy. Some cup holders nowadays will even clip on to your desk, if you don’t want to clutter its surface. If you’re lucky enough that you’re sitting near a window and have more than enough natural light – great. But if you don’t or find yourself having to work late with the patent attorney, then a good desk lamp could definitely help you to be more productive while also reducing eye strain. When you are looking at desk lamps, try to look for one that mimics natural sunlight, as that is best for you in the long term. Essentially these are portable scanners that are designed to make it easy for you to scan business cards and store them digitally. Not only will this help you to keep track of the contacts that you meet, but it will also make sorting that information a lot easier. Some of the business card scanners at BestAdvisor.com even include additional features to find websites and social media pages of your contacts. 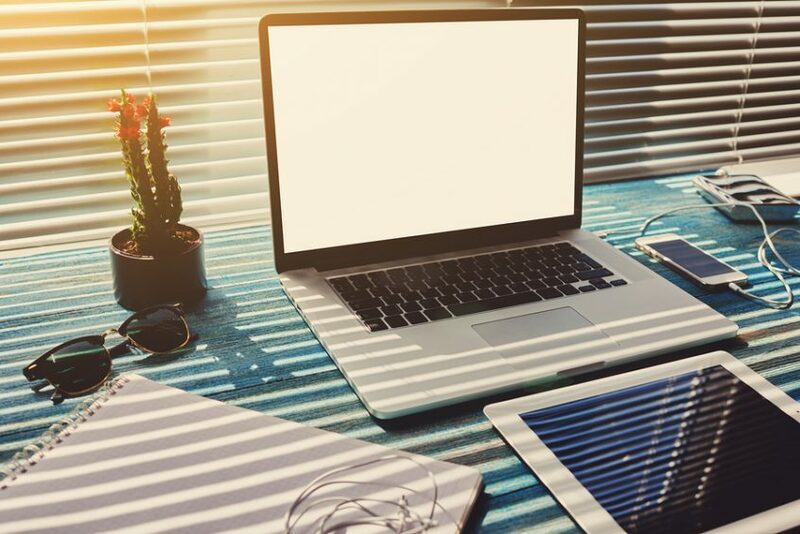 Needless to say this is just a short list of workspace accessories, but it should be clear how each and every one of them could help improve productivity in a business or enterprise environment. With their help you should be able to streamline your workplace, organize it better, and build an environment that promotes productivity rather than hindering it so that you’re able to get more done in the day. Really appreciate thanks for sharing the best tip !!!! !